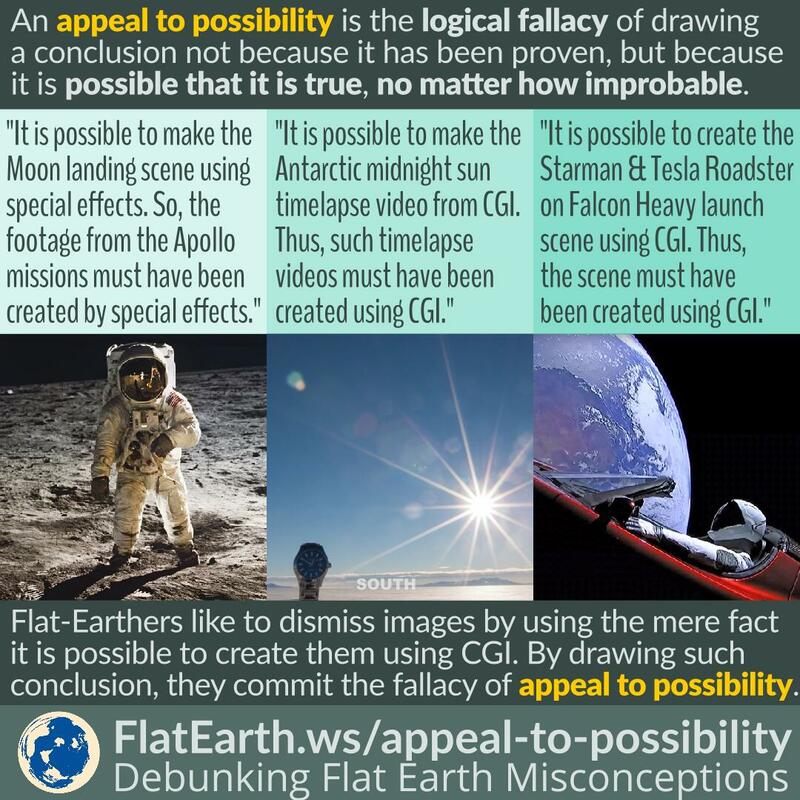 The fallacy of appeal to possibility occurs when a conclusion is assumed not because it has been proven, but because it is possible that it is true, no matter how improbable. Flat-Earthers would often use this fallacious reasoning to prevent their theories from being falsified. 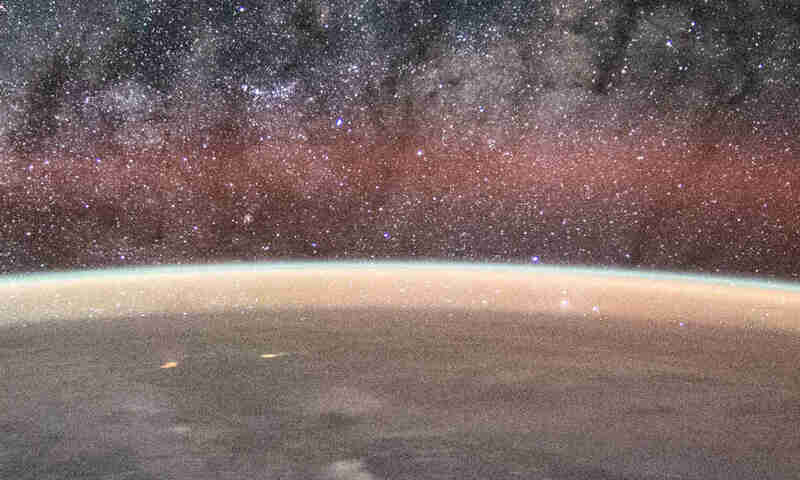 In particular, to “disprove” photos and videos taken from space. In February 2018, for the first time, SpaceX launched its Falcon Heavy rocket, carrying a superfluous cargo: a Tesla Roadster carrying a mannequin called “Starman”. The event was covered by the media extensively, observed by many, and has been confirmed by numerous third parties. Some would think flat-Earthers would have been convinced by the demonstration. But no, flat-Earthers responded that it is possible that the scene was created by a special effect, and therefore, it must have been created by a special effect. Such a reasoning is fallacious. They committed the fallacy of ‘appeal to possibility’. There were many other cases they would invoke ‘appeal to possibility’. Most of the time it involved photos or videos showing something that cannot be explained in the flat Earth model. Some examples include photographs of the Earth, timelapse videos of the Antarctic midnight sun, photos from Apollo mission to the Moon, etc.